Rising media exposure, high disposable income of the parents, peer pressure and brand consciousness among children are driving the growth of kids apparel market in India. 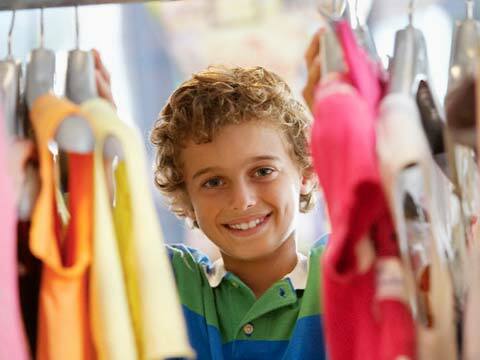 New Delhi: Rising media exposure, high disposable income of the parents, peer pressure and brand consciousness among children are driving the growth of kids apparel market in India from the current level of Rs. 72,000 crore to Rs 95,000 crore by 2016, a study says. This segment is growing at a compound annual growth rate (CAGR) of about 20 per, finds the study by apex industry body ASSOCHAM. In recent times, kids fashion has percolated down to Tier-II and Tier-III cities like Dehradun, Ludhiana, Pune, Nashik, Indore, Varanasi and many other smaller cities. “Children have become brand conscious, parents have more money (thanks to double-income families in the cities) and peer pressure is growing. This is only segment which has not been impacted by the economic crisis and poised for significant growth”, said DS Rawat, Secretary General, ASSOCHAM. Earlier, the trend was to buy functional kids’ apparel rather than branded. Children’s garments were usually purchased from small stores and from street shops, while branded garments were only bought by very high-income families, the ASSOCHAM paper added. The kids are having a good time with a pile of top brands including Allen Solly, Arrow, Reebok, Puma, Woodland and Marks & Spencer entering the branded kids apparel market. Brands such as Benetton, Pantaloon and Reebok have roped in popular characters like Pucca, Ben10 and Power Rangers. This influx will challenge niche brands like Lilliput and Catmoss in a place where they grew up. The kids segment is the most promising in apparel retail in India. Big brands are only now realising its true potential. Sports goods major Reebok launched its kids-wear brand Reebok Junior mid last year. These brands are developing categories such as infant wear, kids' formal wear, kids' ethnic wear, swim wear and casual wear, along with a wide range of other merchandise for children, adds the report. Indian fashion designers are eyeing the premium space. Some have begun retailing their wares for kids through stores such as Kidology in Delhi, Mumbai and Hyderabad, and in Mumbai. The big business houses are also examining the opportunity includes Pantaloon chain and Mahindra Retail. Online sites have also launched for shopping branded kids wear and accessories for the age group between 2-16 years. The portal brings collection from some of the biggest brands in the categories of apparels and accessories.